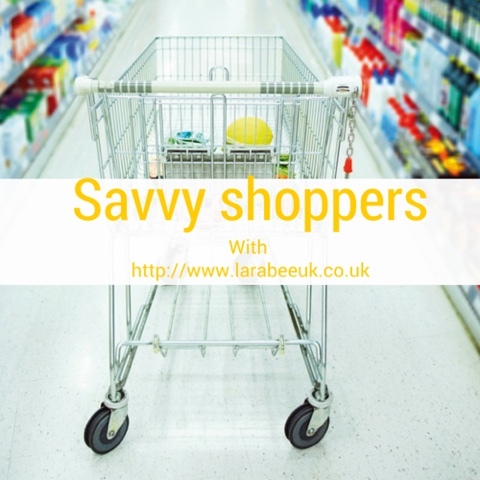 This weeks savvy shopper is Chloe from Life Unexpected, she share's her family of 3's shopping habits and some great tips. I think the concept of Meatless Monday is such a great idea and will be trying that in our meal planning for sure. Our weekly budget is £40. But we never normally reach that unless we’re also batch cooking freezer meals. Normally we spend £30 max. Lidl. They are so cheap! Especially for fresh fruit, vegetables and meat. But we stock up on other things they don’t have in Asda. Meal plan, meal plan, meal plan! Also be creative with the things you buy. You can use the same ingredient everyday but in a different way. This week we bought a lot of sweet potatoes, but you can turn them into a mash, cook them like a jacket potato, cut them into wedges like ships, fry them in stir fries! That’s four different dinners with one ingredient! I also buy lots of fruit. But they won’t just be used as snacks. They’ll also be eaten at lunch times, in smoothies, for pudding mixed with yoghurt! I’ll buy two or three different vegetables and these will be used up in the stir fry, the jacket potato, the stew, the pepper boat and the chilli. Every ingredient gets used and nothing gets wasted. If you have loads of things that are about to go off, then you can easily make a stir fry or a soup. My advice for spreading the cost is to try and work out if you need lots of things, or if you can use one thing in lots of ways! Wine and chocolate. That was too easy for me to answer. Sometimes. My other half works a lot and usually gets home about midnight. I usually leave his on the side for when he gets home but if it’s peak season (he’s a chef) he’s never in the mood to sit and eat a big meal so I’ll leave him a sandwich and some snacky things. Evie eats what I eat, but we do have batch made freezer meals for her too because sometimes she gets fussy or sometimes we don’t know if we’re going to be home for dinner so it’s easy to take these around with us in her lunch box. I don’t tend to coupon and I’ve never used a shopping app yet. I’d love to hear of some great apps to use though. Yumminess, healthiness and how quick they take to make. It’s pretty hard making family meals when you have a toddler clung to your legs. She loves to be involved in what we’re doing so always tries to help in the kitchen, no matter how many distractions we put in place. We let her join in most of the time, but if I’ve got to go to work then the quicker it is to make the meal, the better. We don’t normally buy pudding. Sometimes we’ll have Ben and Jerry’s for a treat and Jamie eats biscuits pretty much everyday (I’m surprised he’s not turned into a biscuit). I normally buy a big pot of greek yoghurt from lidls and have that loaded with fruit, nuts and seeds if I fancy something sweet. The pot normally lasts a few days. Evie either has a yoghurt or a homemade pudding (such as hot apple mixed with pear and cinnamon) after dinner. We bulk buy things like nappies, baby wipes, washing powder and toiletries separate to our food shop. It works out so much cheaper. We also bulk buy grains, nuts and seeds because they can be so expensive (especially if you like things like quinoa or bulgar wheat) and we use them a lot. I don’t have a particular favourite. But I do love jacket sweet potato. They’re so filling and warming, especially now it’s autumn. There is so much you can do with them too. They go with pretty much any topping but are sweeter than regular potatoes and not so starchy. No, but we probably should. Yes for Evie. We never know if we’re going to be home for dinner or not. So for the times we’re not, or for the times when Evie doesn’t like what we’ve got, we have batch cooked freezer meals for her. They used to be purees (http://www.lifeunexpected.co.uk/42-toddler-meals-for-12) but now they’re proper meals.